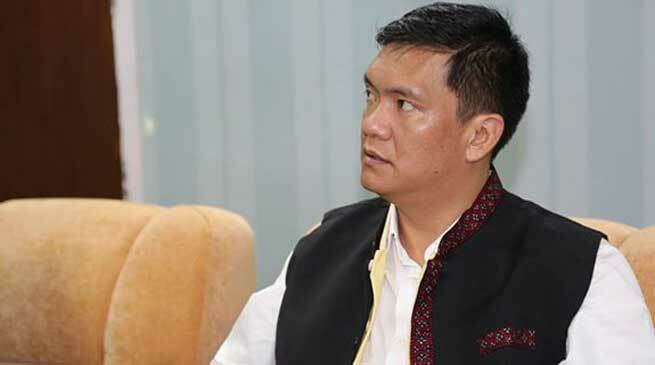 Chief Minister Pema Khandu has left for the National Capital Delhi today to attend the programme of NITI Aayog on Transforming India Lecture Series being inaugurated by Prime Minister Narendra Modi on August 26 next. One of the major highlight of the programme will be keynote address by Tharman Shanmugaratnam, Deputy Prime Minister of Singapore on “India in the Global Economy” apart from eminent personalities like Dr. Arvind Panagariya, Vice Chairman NITI Aayog, N K Singh, Chairman FRBM Review Committee and former Member of Parliament, Dr. Bimal Jalan, ex-Chairman, Expenditure Management Commission, former Governor of RBI and Dr. Vijay Kelkar, Chairman, NIPFP, formerly Chairman of the Thirteeth Finance Commission, the Chairperson of the Committee on Revisiting and Revitalising the PPP Model of Infrastructure Development taking part in the panel discussion. The premier think-tank of the GOI, NITI Aayog believes in knowldege building and transfer as enabler of real transformation in the states through such lecture series. CM will later on 26th August fly to Mumbai to attend the festival of “Songs and Dances of the North East” being organized by the department of tourism, government of Arunachal Pradesh at Mumbai on 27th August next as the host CM.